Interested in Becoming a Landlord? You could have equity in your current property to fund the deposit for a Buy To Let Investment. With low interest rates, volatile stock markets and pension plan horror stories, it is not difficult to see why a lot of people view Buy To Let (BTL) as a solid investment choice. Becoming a landlord may be easier to achieve than you think. If you are currently a homeowner and purchased your house at the right time, you may be sat on equity, and this could potentially be used to finance your BTL investment. Are your circumstances like John’s? If so, we can help. Take independent mortgage advice. We can put you in touch with our recommended advisor. Find a quality BTL investment property. Take advantage of our FREE property sourcing service where we will work with you to find a property in the local area. Why do this on your own when you can work with people who live and breathe property lettings? Sit back, relax and allow Assured Lettings to manage your new investment property. 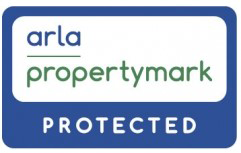 We are your local lettings specialist, we manage each property within our portfolio as if it were our own. What are you waiting for? Contact us now and become a landlord!